Since moving to Boston, grocery shopping has become the bane of my existence. In between ripping my shoulders out of their sockets and shattering my wrists into a million pieces while lugging our food back home on that hellish march back to the South End from Shaw's, and then getting home and realizing I forgot something, I just can't muster up the strength to keep our fridge and pantry fully stocked. We always have the essentials on hand, but those seem to be devoured sooner than later. 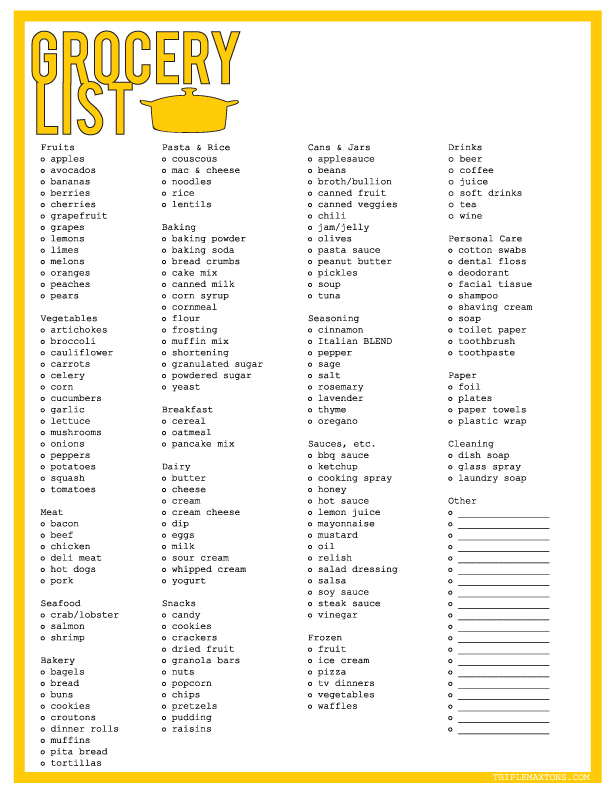 I made myself this grocery list - had to make it bright so I would make sure to remember it before I head out the door - and figured I would share it. Download the pdf here, print 'em up, scribble over them, and get 'er done. such a good idea! thank you! how cool are you?! 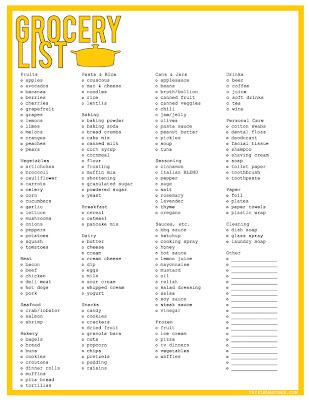 and mega organized, you are my insp, this is the cutest thing and actually makes grocery shopping fun!